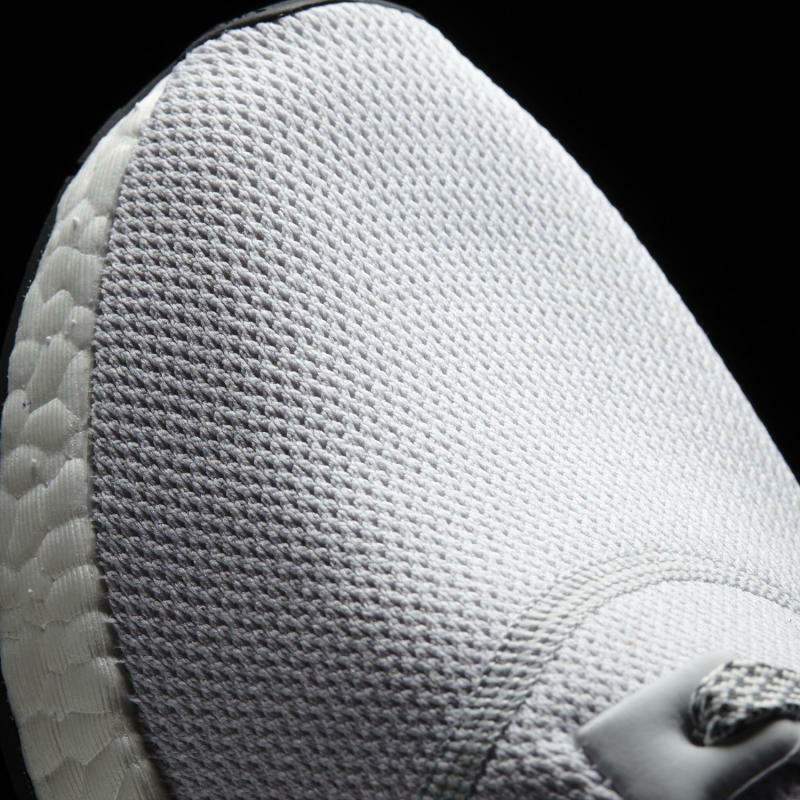 No Primeknit this time though. 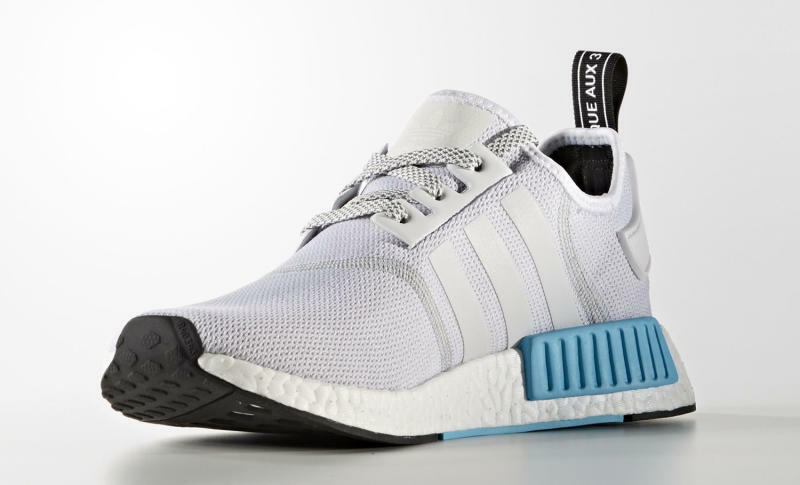 Following this weekend's release of the white/blue/red Primeknit pair of adidas NMDs, another colorway featuring some of those elements has leaked. 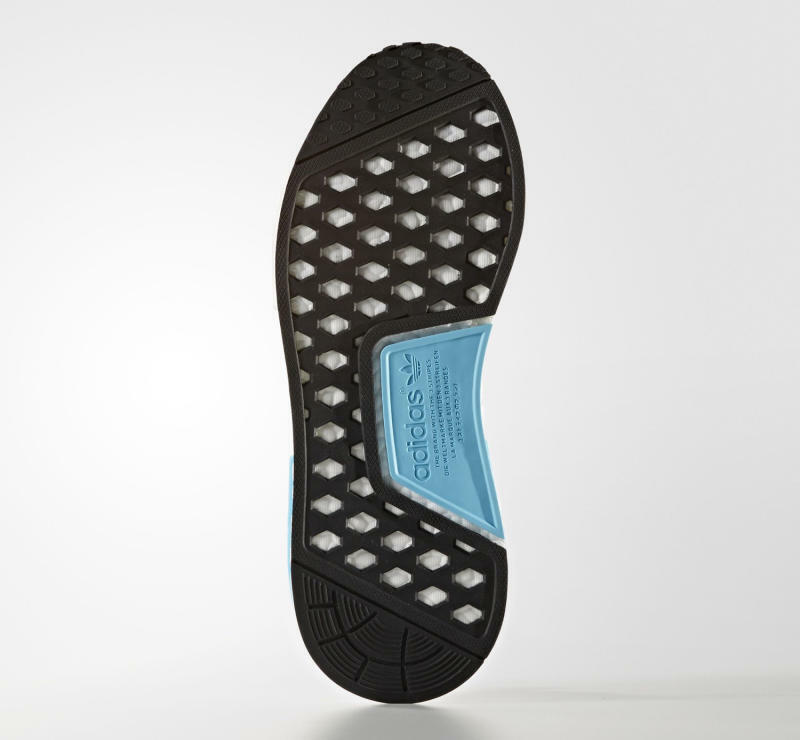 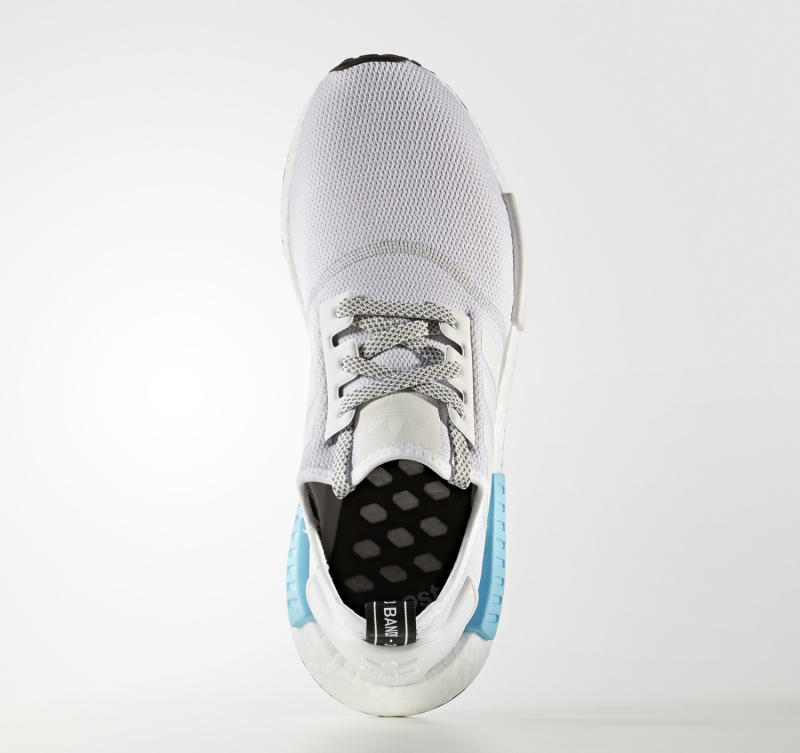 This one leaves out the red in favor of a white block on the midsole, and also uses a light shade of blue. 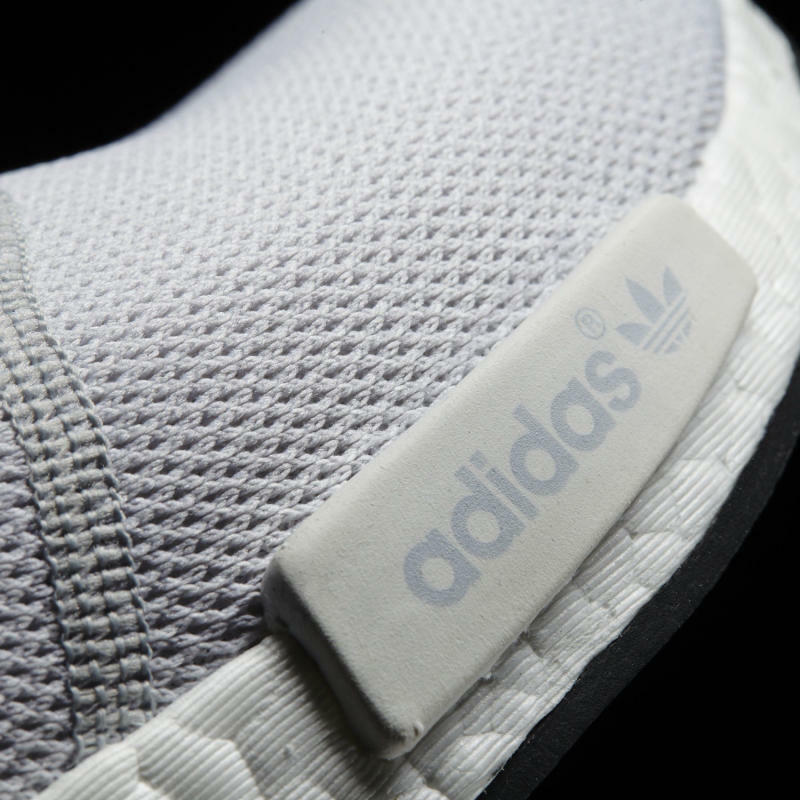 It's worth noting that the model is without Primeknit, so it should be much easier to pick up than the aforementioned "OG White" NMD. 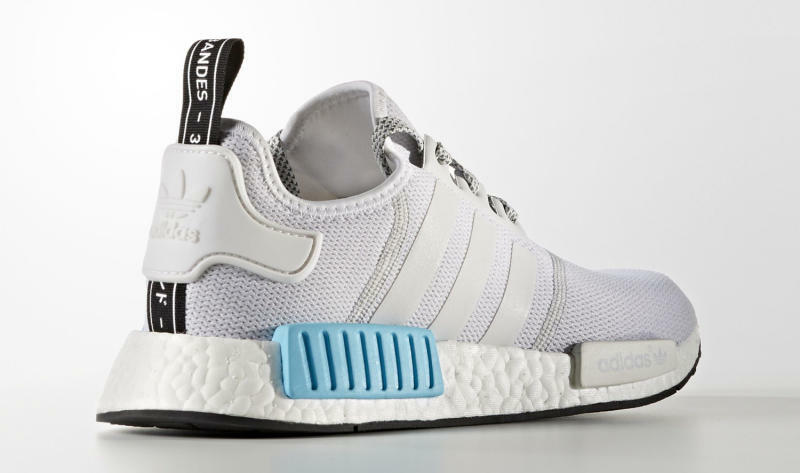 There is no sneaker release date information available for this pair of adidas NMDs yet.